Registration begins Saturday, July 11 and practice starts August 16. Practices will be twice a week on Ebster Field. Teams will play in the Metro Atlanta Middle School Ultimate League. League games will be played weekdays after school Sept-Oct. with tournament in November. Team will be coached by Decatur High’s Ultimate Coaches and Captains. Tuesday, February 11: Decatur Recreation Center will close today at 5 pm. All programming, athletics and classes are cancelled today. Wednesday, February 12: The center will be closed and all programming, athletics and classes will be cncelled. Check back here to get updates about Thursday and Friday. We will be watching the weather and close accordingly. 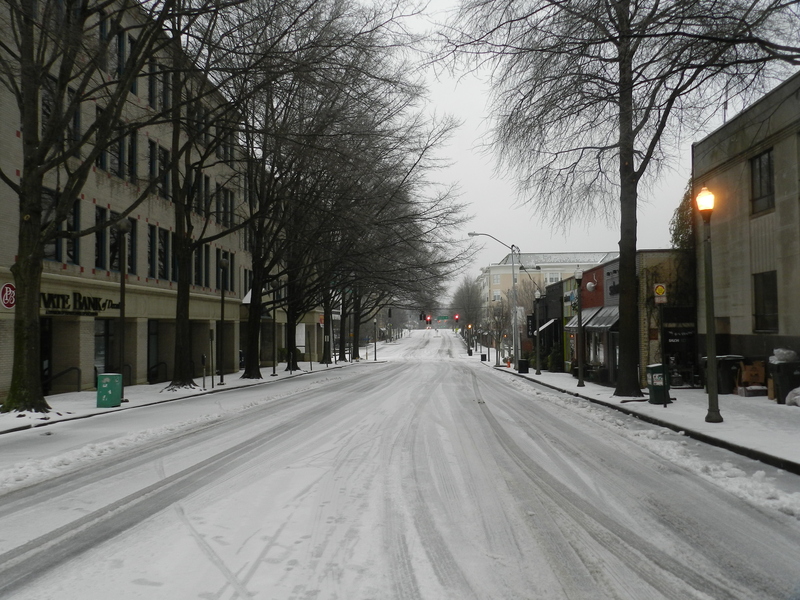 Visit www.thedecaturminute.com for updates on City of Decatur cancellations and closures. 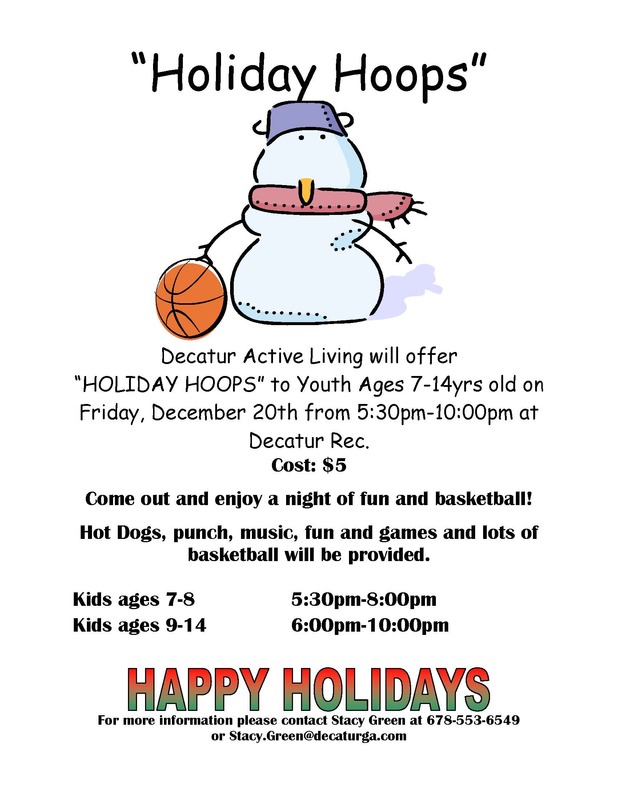 Holiday Hoops – Don’t Miss Out on the Fun!